It isn't often you get a snowflake named after you, but the one that Jane has just designed has been, and I am so chuffed. 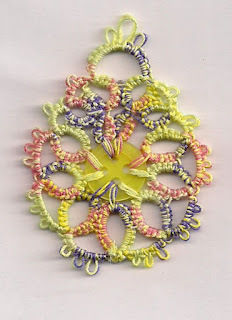 She is right, I like to see bugle beads in tatting, but at times they can be annoying especially if there is a sharp edge on one them and it cuts the thread whilst in the middle of making something. 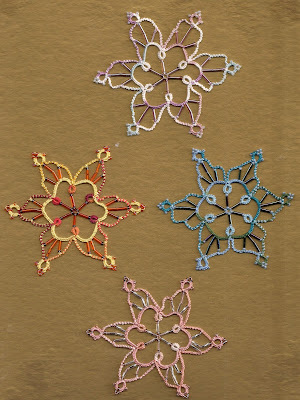 These are my snowflakes and yes I did find the new technique a wee bit difficult to start off with, but here are a few helpful hints before you start. Don't attempt this pattern late at night. Don't start it and then go and do something else either! But the best advice is that when you have all the safety pins on and start going around to each of the points and taking the pins out, be very very careful you do not twist the piece of work and go out of sequence. 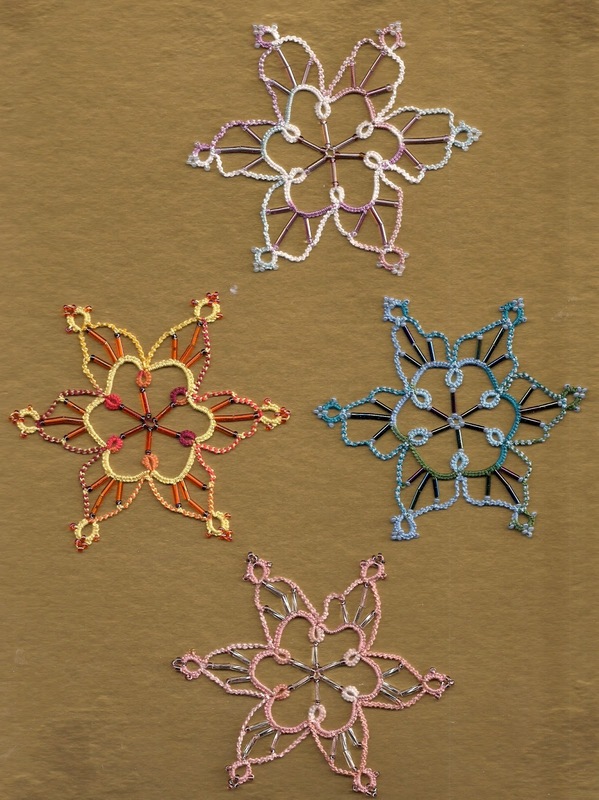 This happened on my first snowflake (one shown in the picture) and it is very easily done as you are so excited to get going with the pattern after achieving the middle bit. Also on the top one I miss counted when it came to the last round, but 'practice makes perfect' and so will be making more. 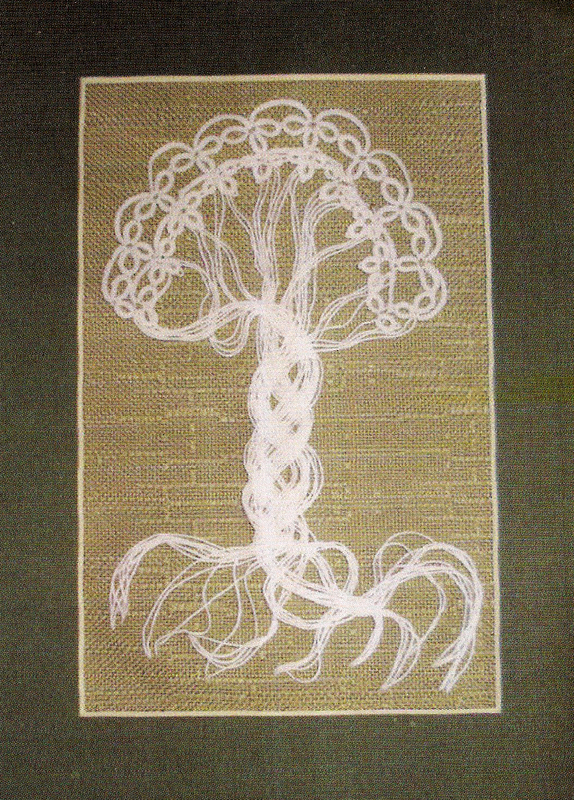 And in case you don't know what I am talking about, this is the pattern now on Jane's blog. 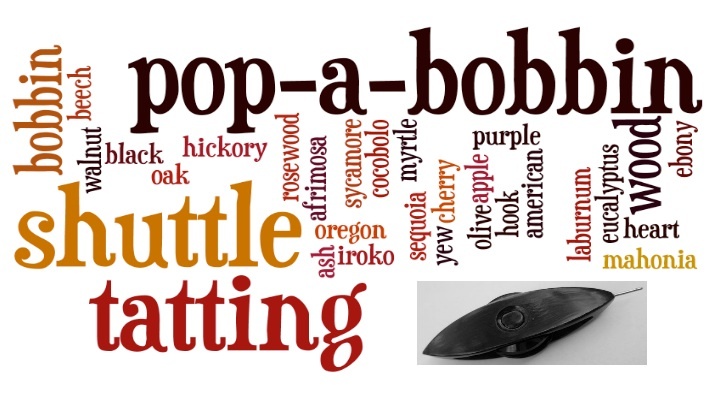 This is how the little plugs which go inside the popabobbin shuttles are made. What you see is a Stanley No 77 and we purchased it on e.bay from someone in the USA very soon after the shuttles became popular. These dowel cutters stopped being made in 1969 so it is a vintage piece of equipment. As you can imagine it was quite expensive to buy especially after paying import duty. We have also managed to get extra cutters for it so that other sizes of rods can be produced. When the shuttles were first made we bought long lengths of doweling rod or tried to make the little plugs by hand for the different woods. But this 'old lady' is doing us proud and makes them just the right size. The handle is unattached at the moment as it is not in use and sits behind the lathe. So imagine my surprise when I saw this on Tim's post, perhaps we should make green shuttles to match! Very clever Tim and it means you will never loose them as they are so bright. 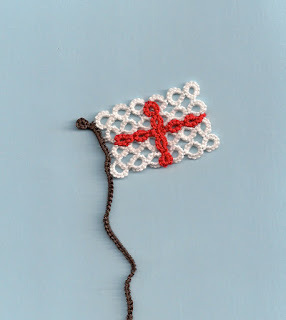 Today we are celebrating St. George's Day the Patron Saint of England and of Scouting. This afternoon there was a parade in Romsey, a town about 3 miles away from where I live with the uniformed organisations taking part. Fortunately it was a lovely sunny day, so the children did not get cold. To mark the event with a piece of tatting, this is the St. George's flag. We mainly see a lot more of this flag when the English football team are playing, otherwise it is the Union Jack, the British flag, that is more likely to be flown. The central part of the Union Jack is the red cross of St. George. 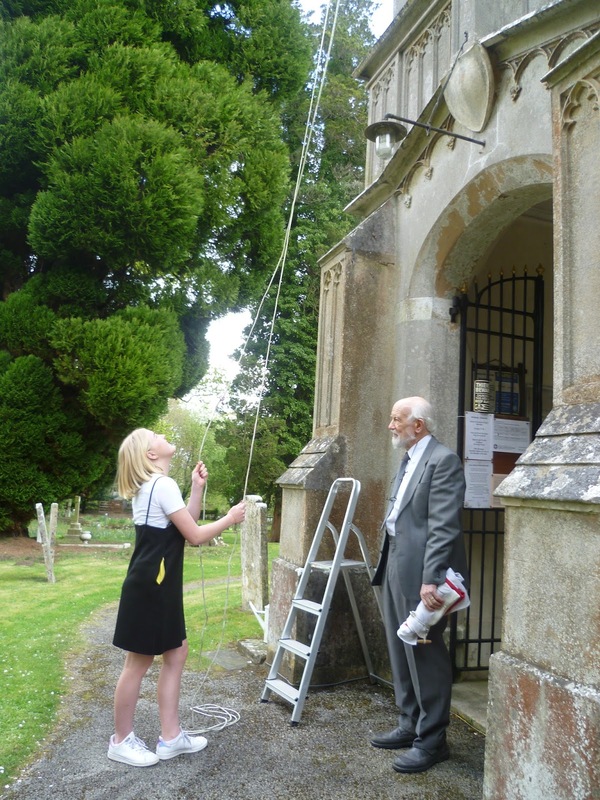 Some of our churches fly flags and here is a picture of one just about to be hoisted. And of course today is also Shakespeare's birthday. 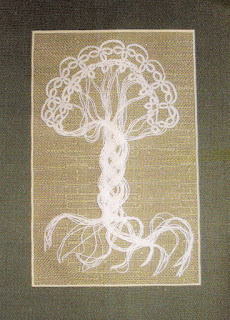 Recently I have seen some lovely tatted trees on a tatted facebook page, no idea where the pattern has come from but they look so effective. Many years ago, before the internet, I borrowed Lindsay's Tatting Collage book from the library but never actually managed to tat anything from it, time and energy were then the overriding factor! I have since purchased the book, but mainly for reference and ideas. Whilst looking through an old Ring of Tatters book I found another tree and decided to have ago at tatting it with some adaptations. 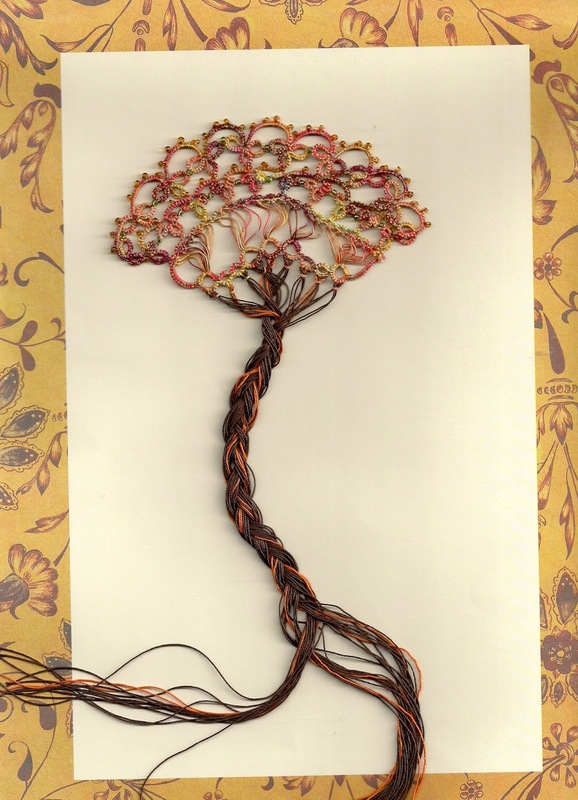 Unfortunately it did not turn out quite right, unless you look at it as a wind blown tree! I am going to have another go but this is what the original design looked like, my idea was to make it more interesting but got lost on the way! 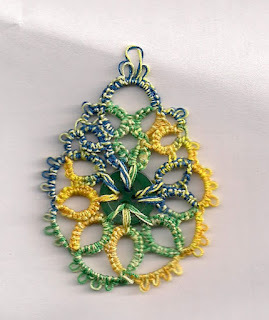 I am now working on another tree and if successful would like to use it in a tatting collage, but that idea may never come to fruition, as I do not have much confidence in my ability to succeed!